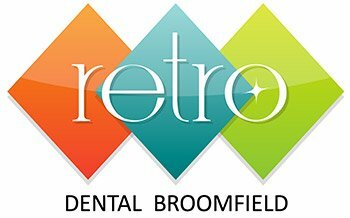 Cosmetic Dentistry in Broomfield at Retro Dental Broomfield has never been better. Choose perfect teeth through teeth whitening, contouring or veneers. There has been a dramatic interest in cosmetic dentistry in the last decade, due to advancements in modern cosmetic dentistry. We know that having a healthy, bright and beautiful smile enriches one’s appearance and boosts individual confidence. The dental staff at Retro Dental Broomfield can give you the perfect teeth you desire. Your beautiful smile can be achieved with quick and painless (sedation therapy) treatments. We can change the size and shape of certain teeth, fill unattractive spaces between teeth, improve or correct your bite, replace old, unattractive dental fillings or missing teeth,lighten or brighten the color of your teeth, or repair decayed, chipped or broken teeth. Remember, your smile speaks before you even utter a word. Call us today! Broomfield’s best Cosmetic dentist is now ready for you. If you need tooth bleaching, contouring, sculpting or veneers, Retro Dental Broomfield should be your choice. Throughout life, your teeth may have collected stains, chipped edges or small cracks from your regular use and daily activities. While you will want to save the memories, you may want to cover up the remnants they left behind on your teeth to enhance your smile. Aesthetic dentistry treatments like porcelain veneers can cover up unappealing teeth for a beautifully white and straight smile. Dental veneers are thin shells that cover the front surface of your tooth with a shape and color to match the smile you have always wanted. We have spent a great deal of time at the highly acclaimed LVI (Las Vegas Institute) training center, under some of the best cosmetic dentists in the world. We will use the best technology, skills, and experience to create the ideal custom smile just for you. Come on in and see us at Cosmetic Dentist Broomfield.